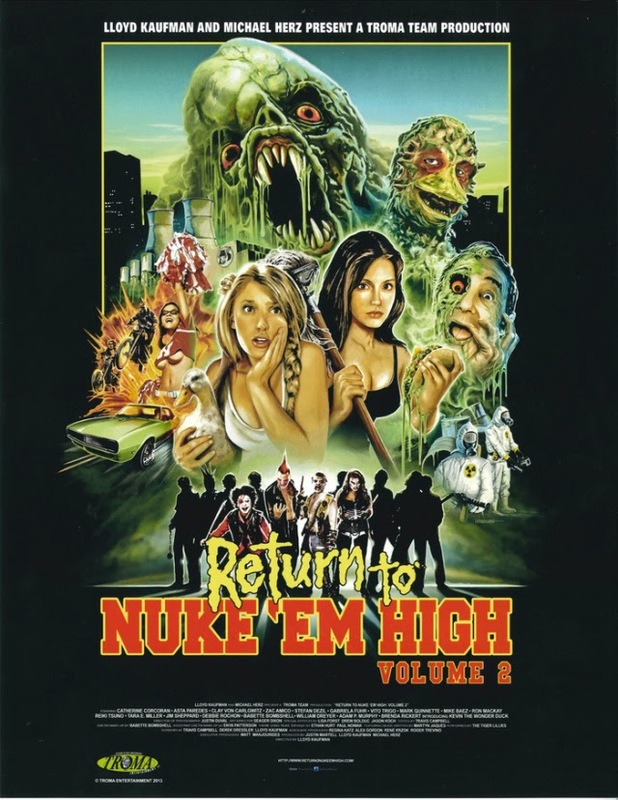 For the fans of Troma films it is a little sad to learn that we won't be seeing 'RETURN TO NUKE 'EM HIGH: VOLUME 2' just yet. ...its TROMA, of course). For those that haven't seen the 1st film you missed out but don't worry it is available at all good (and probably some bad) retailers worldwide. You can help them on their way by donating to their Kickstarter page, right here in Tromaville.....well Kickstarter. 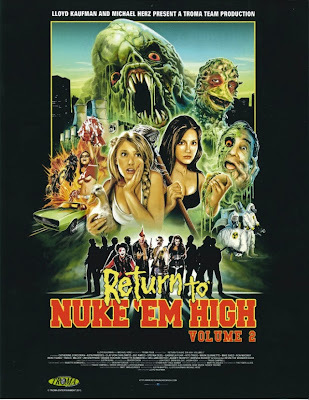 This will complete the 2 part film that TROMA has in mind.